YANGON (Myanmar Now) – A newspaper published by the former ruling party of ex-generals has claimed that crime has sharply risen under the democratically elected government of Aung San Suu Kyi, and that her efforts to impose rule of law have failed. The Union Daily, a little-read publication owned by the Union Solidarity and Development Party (USDP), said in an editorial Monday that, “Organized crimes, rapes and robberies have become rampant across the country. “The new government efforts for the rule of law over the past few months have come to nothing, and the kind of crimes that indicate a state of anarchy and were not seen under the previous government have been breaking out,” the piece claimed about the NLD’s first four months in office. Suu Kyi has repeatedly said that establishing rule of law is a key goal of her National League for Democracy (NLD) government. Past decades of military rule were marked by widespread impunity, corruption and rights abuses. Monday’s article referred to the brutal murder on Aug. 20 of a former police officer and his wife and two children at their home in Yangon’s Mingalardon Township, as an example of how heinous crimes have become in recent months. 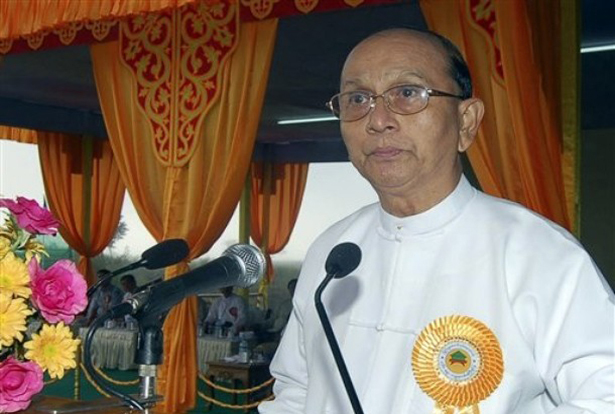 The piece published by the USDP – which was vanquished at the polls during the general elections last year – made no mention of the fact that the Ministry of Home Affairs, which enforces rule of law, remains under direct control of the military. When contacted by Myanmar Now about the article, Nyunt Tin, a former Upper House MP for the USDP and a retired ambassador, said he agreed with the editorial, claiming that the NLD government had granted amnesties that released dangerous criminals onto the streets. “I don’t feel secure anymore as these crimes are breaking out. These are not uncommon in other countries, but police should patrol more in the suburbs of the town, as more crimes usually take place there,” he said. Police Col. Zaw Win Aung, a national commander of the police force, said, however, there were no figures to back up the claims by the USDP. “I would surely say ‘no’, if you ask me if there are more crimes under the new government,” he told Myanmar Now. Kyaw Nanda, an NLD MP for Yangon Region parliament, did neither acknowledge the USDP’s claims, but said Myanmar police suffer from a lack of funding and resources, which limits their ability to improve safety and rule of law. “We need to increase the support and materials,” he said. The Minister of Home Affairs announced in parliament on Aug. 17 that it plans to double the size of the police force to roughly 166,000 policemen in the coming years. *This article first appeared on Myanmar Now on 24/8/2016.